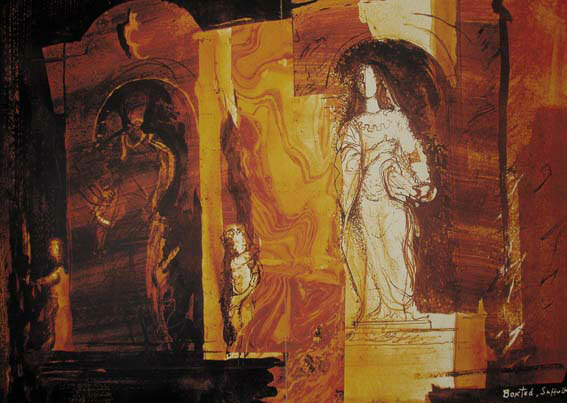 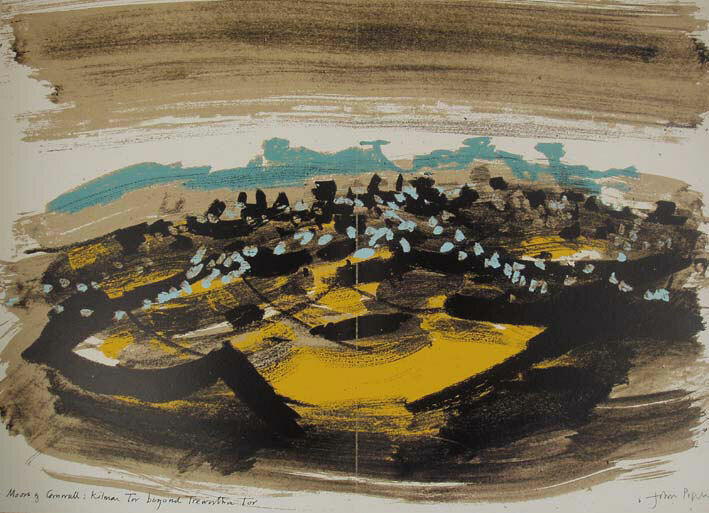 John Piper is one of the major figures in 20th century British art and is particularly associated with the neo-Romantic movement. 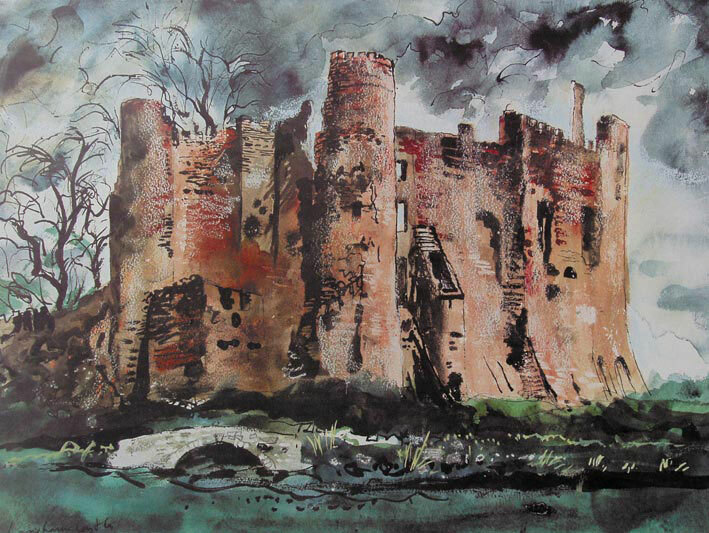 During World War II he was commissioned to record bomb damage, most notably in London, Bristol & Coventry, and in 1944 he became an official war artist. 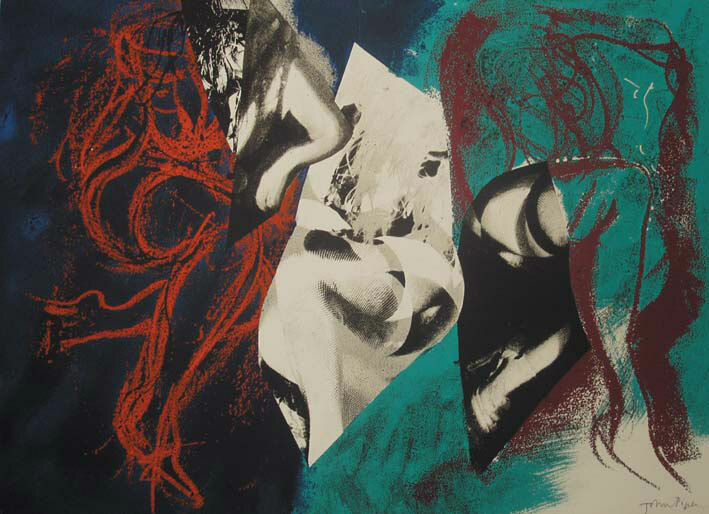 He first became acquainted with the landscapes of south Wales in 1937 when he married Myfanwy Evans, with whom he founded 'Axis', a review of Contemporary 'Abstract' painting and sculpture. 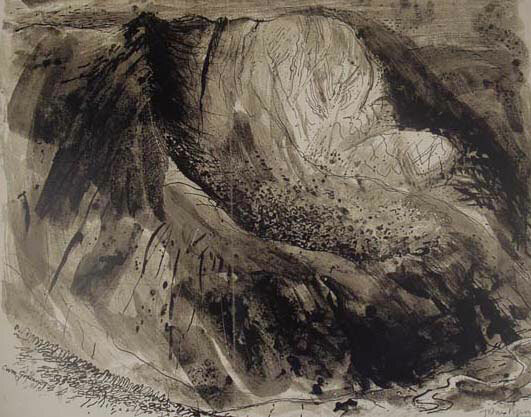 He made on the spot collages of Pembrokeshire beach scenes, and also became fascinated by Welsh architecture: the chapels, castles and ruins, which were to influence much of his later works. 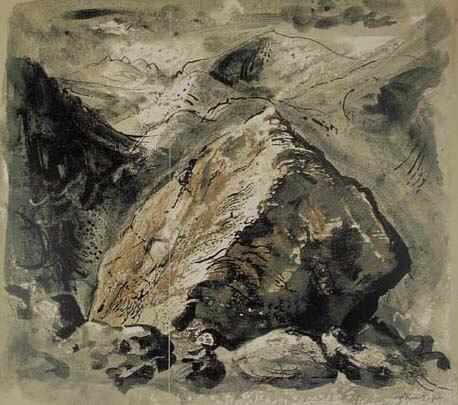 In 1949 they moved to a cottage in Snowdonia where he drew and painted many views of the mountains, which were always dark and brooding, without human form. 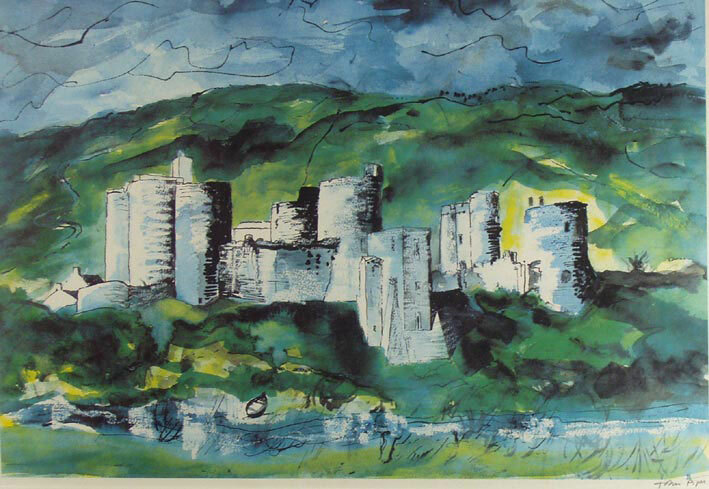 An increasing demand for his work in stage design for opera and ballet meant that he left Wales for some time, before returning to Pembrokeshire in the early 1960s.